Serious Australian punters know that it is very important to get the best odds possible before betting on their favourite horse racing event. 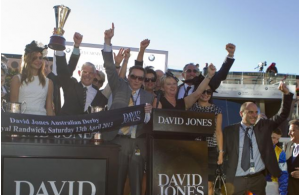 Australian bookmakers use the decimal format system to display odds. Odds Comparison Powered by Punters.com.au. Odds are based on the probability of winning, or in some cases losing. If the odds for a particular horse is carrying 3.00 odds and your wager was $1 and you win then your return would be $4. You would get the $1 you bet and make $3 profit. Here is another example, Mount Athos has 17.00 or 17/1 odds for the 2014 Melbourne Cup. If you bet $1 on this horse to win and he did you would receive $22. $you get your $1 bet back plus $21 you won. Some bookmakers allow you to try to choose your own odds. Odds can change very quickly. It is in the punters best interest to bet when the odds are in their favor. You can view odds comparison tools online that will allow you to compare odds from various bookmakers. These may be the most popular bets made by punters around the world. If a horse crosses the finish line first they get the win. Place refers to the horse that crosses the finish line second, and show is the horse that crossed the finish line third. If you bet a horse to win you will only get paid if he wins. If you bet on your horse to place then you will be paid if he finishes first or second. If you place a show bet then you will win if your horse finishes in the top 3. Of course your payout will be larger for the win bet, less for the place bet and even more less for the show bet. Your odds of receiving some type of payout will be better with show, but you will not reap the bigger payout. There is a variation of exotic type bets available, but they normally cover wagers on several horses. These types of wagers are not as easy to win, but they typically pay out more. This can lead to a big payout but the punter has to choose which two horses will come in first and second in the correct order. On this bet you must choose the horses that will cross the finish line first, second and third and in the correct order. Similar to the exacta only in this case you don’t have to pick the correct order just the first two horses. The punter has to pick the winners of two separate races which is typically the beginning two of the day. A tote is part of pool bet. This simply means that all the tote bets for the race go into one pool and those that win split the money. Your odds are fixed at the time you make your bet. Horse racing odds keep changing and by betting at a fixed price you can catch the odds when they are better for you as a punter. You bet on the horse to lose. You bet on the horse to win. Dur to Australian law Aussie punters can not participate in live betting online. However, they can phone their bets in at several Australian bookmakers.The live bet is nothing more than betting while the event is in progress hoping to get better odds. Punters are a breed all their own. Many have their own formula for evaluating the odds and picking their horses. There are even punters who just pick a horse because they like the name. The avid punter needs to know what odds they are getting so that they know how much they stand to win. Keep in mind that the odds you find on your favourite bookmaker are not necessarily the true odds, but the odds that bookmaker is willing to pay. The odds the bookmaker displays will relate to the amount of money being wagered. Whether you are betting against or for the horse in the race try to get the odds in your favour.